According to the two largest technology research firms, Apple sold between 4.4 million and 4.6 million Macs in the second quarter, a year-over-year decline of between 5% and 8%. IDC and Gartner both pegged Mac global shipments in the quarter that ended June 30 at lower numbers than during the same period in 2015, even as several Windows PC makers grew theirs. Historically, Apple has grown Mac sales while the broader personal computer market has experienced an unprecedented slump. IDC estimated Mac shipments for the June quarter at 4.4 million, an 8% reduction from 2015, dropping Apple from fourth to fifth place on the list of top OEMs (original equipment manufacturers). Meanwhile, Gartner put Mac shipments at 4.6 million, a decline of 5%, and like its rival, said Apple was No. 5, behind Taiwanese device maker Asus. If the estimates are accurate, Apple will suffer its third straight quarter of year-over-year Mac declines. In the modern era -- after the introduction of the iPhone in 2007 -- the Mac's toughest stretch was a four-quarter string of contractions in 2012. At that time, Apple reacted by cutting prices of its flagship models, the MacBook Air and MacBook Pro. This year, Apple has been at a sales disadvantage because it has not recently refreshed its laptops, which make up the majority of Mac shipments. According to the MacRumors Buyer's Guide, which tracks the time between model releases, it's been 14 months or longer since Apple updated the MacBook Air or MacBook Pro lines. Traditionally, sales jump at the launch of refreshed or redesigned Apple hardware, Macs included. There is no guarantee that the IDC and Gartner estimates will be on the mark -- both researchers have badly missed at times -- and, in fact, their numbers appeared optimistic when compared to the usual increases from the first to second quarters in the Mac's past. The sequential increase from the January to June quarters has averaged 8% since 2007, and just 2% since 2010, when the iPad debuted. But IDC has projected a quarter-over-quarter gain of 10%, while Gartner's 13% was even more bullish. 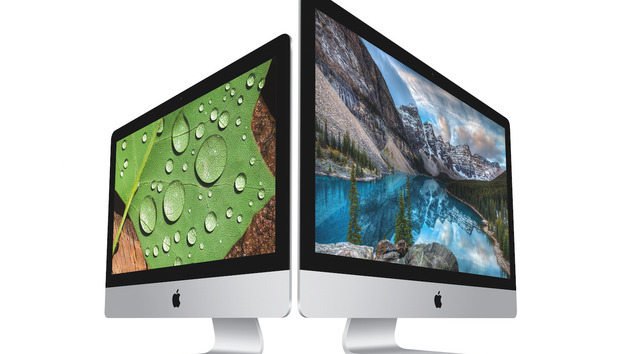 Apple will reveal its Mac sales numbers on July 26, shortly before it hosts a 2 p.m. PT (5 p.m. ET) earnings call with Wall Street analysts. Estimates of Mac shipments for the June quarter were, on average, down 6% from the same period in 2015. If accurate, they signal the third straight quarter of declines for Apple.